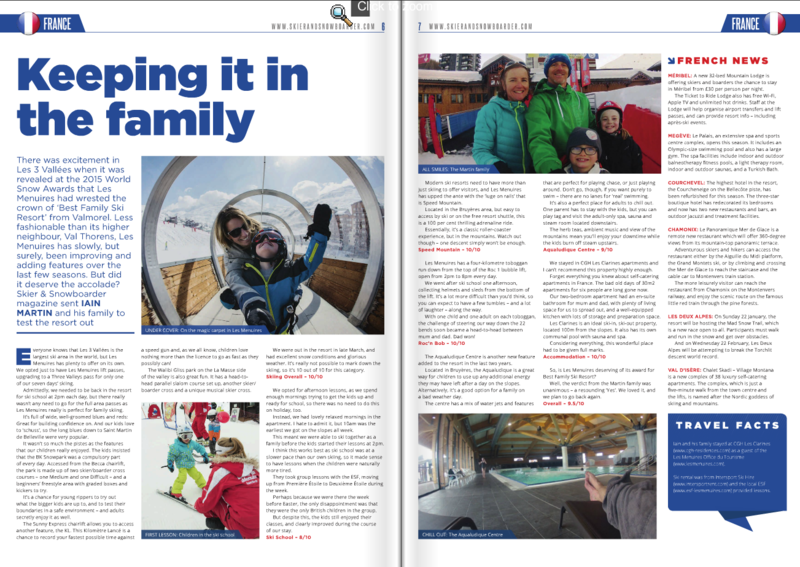 We were delighted to see that Iain’s article about family skiing in Les Menuires has been published in the December/January issue of ‘Skier & Snowboarder‘ magazine. Iain travelled to the French resort in Les 3 Vallees ski area in March. 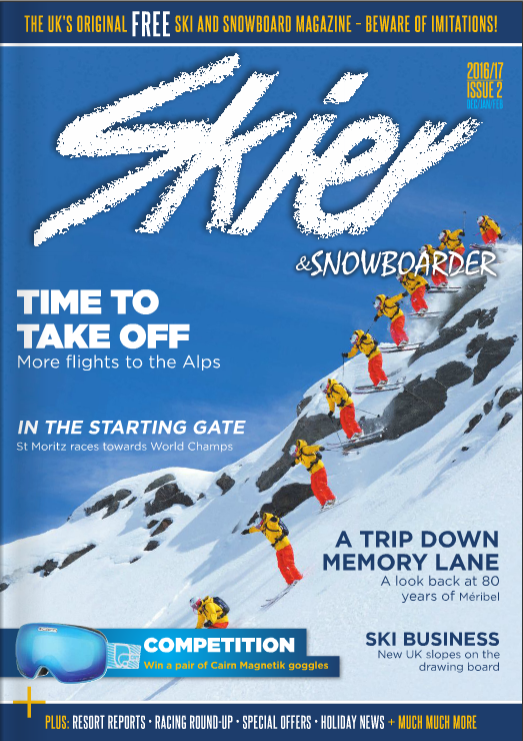 Les Menuires won ‘Best Family Ski Resort’ in the 2015 Snow Awards and the plan was to test out the resort and see if it stood up to its reputation. Iain was a guest of the Les Menuires Tourist Office and stayed at the Residences CGH Les Clarines. Previous postHave Obergurgl created the best ski resort video of 2016? Next postWhen does The Jump 2017 start and who is on it?